Thank you for supporting the Gala! PTO Elections for the 2018-2019 School Year will be held TODAY, April 24th, during our generalmeeting at 5pmin the MS Science Room #221. Please join us for our last meeting of the year as we welcome new members and positions. See attached agenda. Thank you for supporting our school through our Spring Fundraiser. We netted $18,554.06! This will help support our Teachers through Teacher Appreciation and updating their Staff Lounge, our students with Middle School Electives, and ACS with new “transforming” cafeteria tables. Thank you again for your Sponsorships and Donations! Join Shoparoo today and enter the April Grade Contest. The Grade that earns the most points in April will earn a Free Dress of Choice Day in May. Date to be selected by the winning Teachers. That’s right! The entire winning grade will earn a FREE DRESS of CHOICE DAY! Keep uploading receipts for your chance to win! Upload your receipts today! Contest ends April 30th at noon. Shoparoo is free, easy fundraising for ACS! Have questions regarding the Shoparoo program? Visit Shoparoo.com today or contact Jeannie Reddan at txreddan@msn.com. On Monday, May 7thfrom 5-8pm at Park Meadows Mall we will enjoy Sips, Sweets, and Jewels! 20% of all sales that evening will go back to Academy Charter School. See attached invitation. Guests can also call in to 720-458-1510 for a phone order. Shipping is free! ​Our next PTO Paid Dress of Choiceday is tomorrow, Thursday 4/19/18! The cost is $2 per student. The PTO holds one Paid DOC Day per month as a school fundraiser. These events are always optional and any money contributed towards this event is considered a direct donation to the ACS PTO, and is tax deductible! If you choose not to participate in the PTO Paid DOC Days, regular uniform rules apply. Also be sure to tell the cashier at checkout that you are with Academy Charter School! Thanks! As a part of Staff Appreciation, the PTO Social Committee hosts monthly events to honor all of our staff. We typically alternate between a monthly breakfast and another type of event. For April, we are hosting a Yogurt Parfait Bar on April 18, 2018. Please see below for an opportunity to help honor our ACS Staff while earning your volunteer hours. Please note, all items need be delivered no later than 10:30am on April 18. Items may be dropped off at the front office. ACS currently has 70 staff members. Remember any time spent shopping, prepping and cooking counts as volunteer hours; as well as, $10 for every store bought donated item. Please contact the PTO Social Committee at acssocialcommittee@gmail.com with any questions. Thank you for your continued support and dedication! Thank you for supporting our school through our Spring Fundraiser! We are still tallying up the numbers, and will let you know how much was raised soon. PTO Elections for the 2018-2019 School Year will be held this month at our April 24thmeeting at 5pm. Questions or comments? Email Heather Spomer at acs_pto@academycharter.org. Thank Youto our Sponsors. Please support these local businesses that graciously support ACS! Today is the LAST DAYto purchase your GALA TICKETS!!! Tickets are on sale at the front office through this Friday, April 6th! Cost – $45 each. Don’t miss out on this adult-only event. There will be dinner, drinks (cash-bar), silent auction, live auction, casino tables, music and more! Attire – Festive Attire Encouraged and Masquerade Masks Optional. 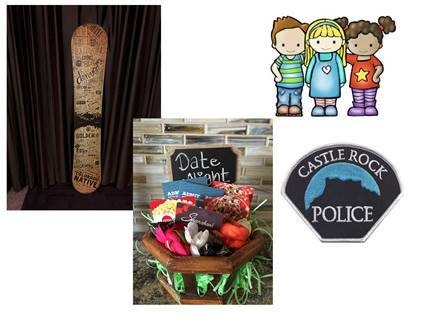 Some of the LIVE Auction Items that will only be available at the Gala. Our SILENT Auction goes live on Sunday, April 8th at 5:00pm! 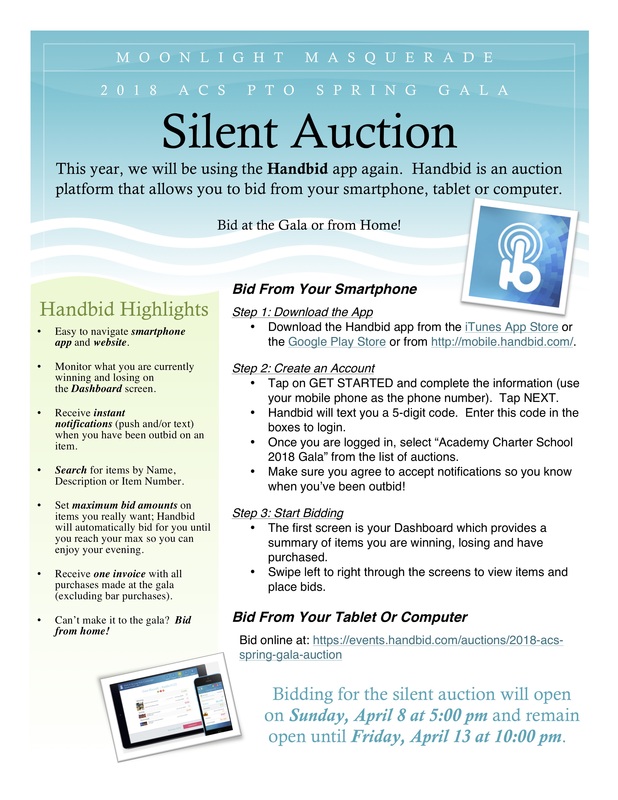 Check out the attachment to find out how to check out the silent auction and start bidding. ​We are looking for help with the Spring Gala. We need a few more decor supplies, help with contacting already submitted auction items and help with setup/tear down. Great way to get in your volunteer hours at the end of the year. Or if you have your volunteers hours please considering helping to make this event a success. We cannot get ready for this event without your help! DON’T FORGET THE CHANCE TO WIN IS A RESERVED PARKING SPOT! Here’s your chance to have your very own parking spot close to the front doors that you can access any time of the day. Close, easy to get to, and all yours for the entire 2018-2019 school year! See picture for location. This will be for a reserved parking spot for the entire 2018-2019 school year. * Drawing for the winner will happen at 4pmon April 12th. Use Nanno, the new on-demand childcare platform, to book childcare for the night of the Spring Gala and get 20% off (or, $16/hour for up to 2 kids or $20/hour for up to 4 kids). To use your 20% discount, use coupon code AC-GALA. Tax Time – Need a donation letter? Thank You to our Sponsors. 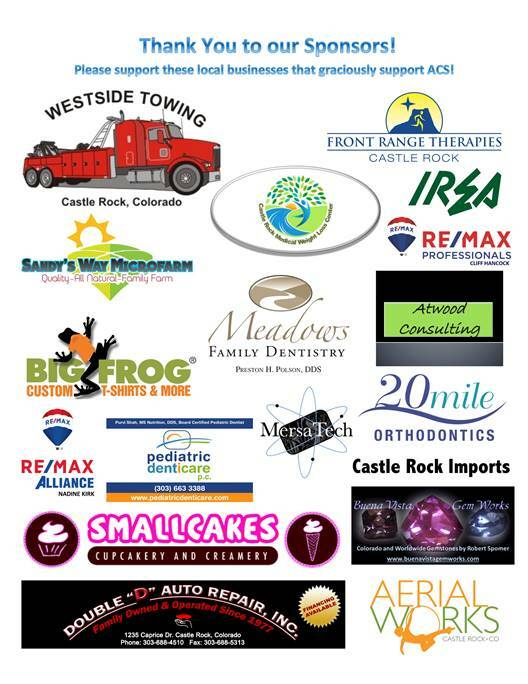 Please support these local businesses that graciously support ACS! LAST WEEK to purchase your GALA TICKETS!!! Please contact the PTO Social Committee at acssocialcommittee@gmail.comwith any questions. Thank you for your continued support and dedication! Congratulations to the Fuller Family on being our top earner in the Reloadable Grocery Card Contest for March! They won a VIP Parking Spot to be used in April. Congratulations to the 6th Grade for winning the Shoparoo March Grade Contest! They have earned a Free Dress of Choice Day for the entire grade. Date to be selected by the 6th Grade Team. Also, congrats to the Canaday Family on winning the VIP Parking Spot for being our top Shoparoo participant in March. Have you donated to ACS during the 2017 year? At the Spring “A Night in Monte Carlo” Gala or the “Let’s Get Silly” Fall Fundraiser? Contact katiedemaria@yahoo.comfor a donation letter. If you gave through www.ColoradoGives.orgsign in, go to My Account, My Donations, and hit Send Receipt. The mission of the ACS PTO (parent teacher organization) is to align resources with the vision and direction of the school to enrich the learning environment while empowering parents, teachers and students for success. 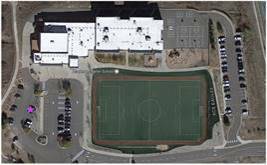 The PTO’s main role is to supplement the school’s budget through various fundraising efforts while maintaining and encouraging community spirit. Basically, this means we work with administration to raise money for the school and have fun doing it! Be a part of this rewarding team as we support our students, teachers, staff, and administration. For more information please contact Heather Spomer at acs_pto@academycharter.org. Questions or comments? Email acs_pto@academycharter.org. Freddy’s Spirit Night is Tonight! Please tell the cashier you’re from Academy Charter School and show the attached flyer.